Methuselah, an exoplanet 12,400 light years away, is three times older than the Earth. Since it was formed within a billion years of the big bang, it's surprising that stars had made enough heavy elements and 'grit' to form a planet. The star 55 Cancri has a super-Earth so hot and dense that a third of the surface is made of carbon crushed into a diamond-like state...GJ 504b is a Jupiter that's farther from its star than Neptune is from the Sun. Even though it's in the deep freeze, it glows a ruddy pink colour because it's shrinking due to gravity. At the other extreme, there's a planet that orbits in darkness around a pulsar, whipping around the stellar corpse every two hours. TrES-2B is a mysteriously dark planet, blacker than coal or ink, and it's not known what chemicals in its atmosphere cause it to absorb 99 per cent of the light falling on it. 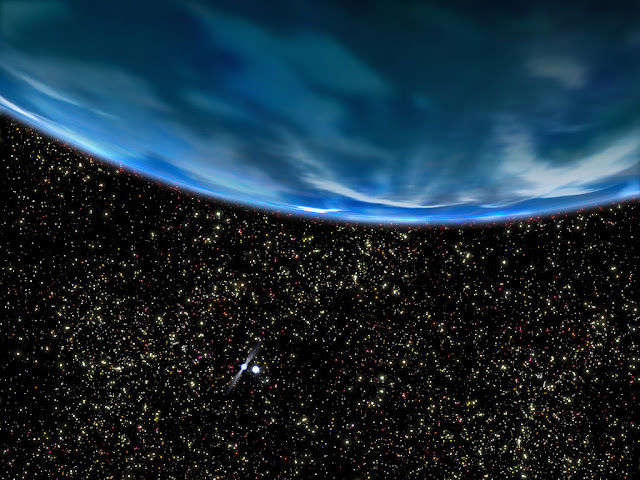 GJ 1214b is a water world that's completely swaddled in ocean ten times deeper than those on Earth. Wasp 18b is falling onto its star as its orbit degrades. It will enter the final death spiral in just a million years.